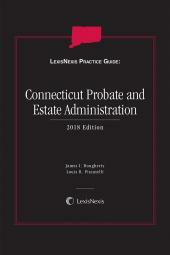 LexisNexis Practice Guide: Connecticut Probate and Estate Administration is a practice-oriented resource that assists attorneys in handling every step of the probate and estate administration process. 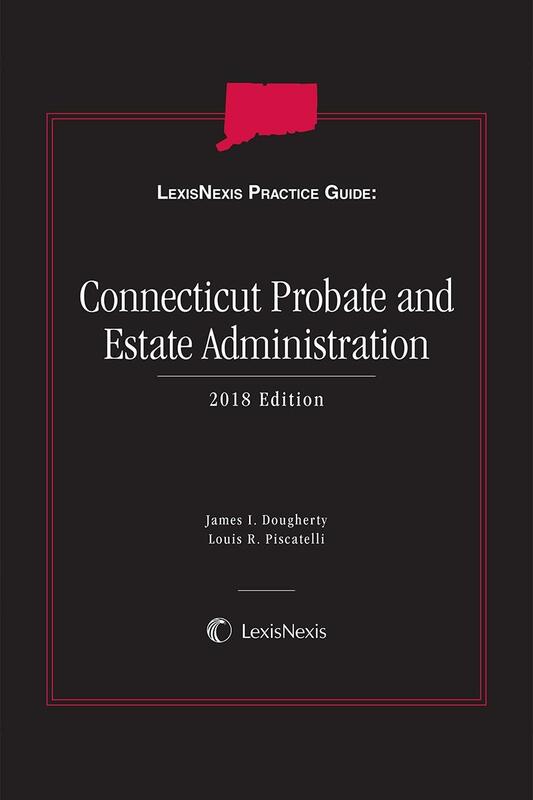 LexisNexis Practice Guide: Connecticut Probate and Estate Administration is a practice-oriented resource that assists attorneys in handling every step of the probate and estate administration process. The authors share a wide variety of practice tips gathered through years of practice in this field. 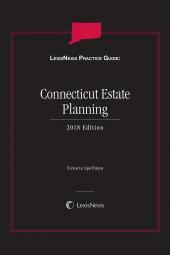 This practice guide includes in-depth analysis of topics such as: applicable Connecticut law, jurisdictional issues, probate proceedings, will challenges, intestate administration, asset inventory, claims against the estate and fiduciary management of the estate. 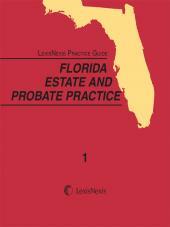 Also included are all the forms, letters and other documents necessary for probate and estate administration. James I. Dougherty is an attorney in the Estate and Trust Administration Department of Withers Bergman LLP, admitted to practice law in the State of Connecticut and the State of New York. He has had a lifelong involvement and passion for probate, tax, trust, and estate issues. He is a fourth generation attorney and has the privilege of carrying on the family tradition which began in 1930 of serving clients in his home State of Connecticut. He graduated from Carnegie Mellon University, Phi Beta Kappa, with University and College Honors. He earned his law degree from William & Mary Law School where he was awarded the George Wythe Award. In addition drawing on the collective decades of practice of trust and estates from his family, James was a summer clerk at a Connecticut Probate Court for four summers before joining Withers Bergman LLP. He assists executors and beneficiaries alike through all aspects of the estate administration process including probate, contested estates, contentious trust litigation, tax, and post-mortem estate planning issues. His practice also includes working with affluent individuals in the development and implementation of sophisticated planning techniques to help them accumulate, preserve, and transfer their wealth. James is a frequent author and speaker, nationally and internationally, on estate, trust, tax, and probate matters. He is a member of the Executive Committee for the Estates & Probate Section of the Connecticut Bar Association. James has been named as a Trusts & Estates Fellow for the Real Property, Trust & Estate Law Section of the American Bar Association for 2016-2018. Louis R. Piscatelli is the head of Withers Bergman LLP's Estate and Trust Administration Department. He is admitted practice law in the State of Connecticut, the State of New York, and is a Registered Foreign Lawyer in the United Kingdom. Louis earned his bachelor's degree from Colby College and his M.B.A. from Cornell University. He obtained his law degree from the University of Connecticut graduating with high honors. Louis joined Withers Bergman LLP, what was then Bergman, Horowitz, and Reynolds PC, in 1987 and has been with the firm ever since. His practice focuses on estate and probate planning. He places a special emphasis on assisting families who own businesses create structures that are tax efficient and enables families to pass their wealth onto future generations. As head of the firm's department which handles decedent's estates and trusts, Louis has built a team over the years to help families through the estate administration process by providing solutions to the unique issues that present themselves in each estate.